Invisalign continues to gain popularity across the globe. Small wonder teens and adults prefer this alternative to traditional bracket and wire braces. Invisalign aligners are comfortable, removable, and transparent, so they are barely noticeable. Are you wondering how to find an Invisalign dentist in the Sunbury area? Dr Rajcoomar has been working at Smile In Style since 2011. She had completed her Post Graduate Diploma in Orthodontics with Progressive Orthodontic Seminars (POS) and is a trained Invisalign Dentist in Moonee Ponds and Sunbury. She has helped many people both young and old improve their smiles and change their lives. Most people don’t want braces to broadcast to the world that they are straightening their crooked teeth. However, once finished with Invisalign, they are typically proud of their investment in a more beautiful smile. Smile in Style has been serving the dental needs of family in the communities of Sunbury and Moonee Ponds since 1990. 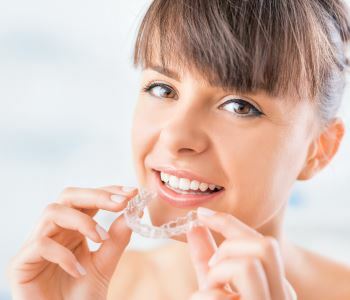 They have likely helped your friends and neighbours enjoy the wonderful appearance and health benefits of straight teeth with Invisalign treatment. The practice offers a full range of general and cosmetic dentistry services with a holistic approach for patients of all ages. Save time by simply calling 03 8001 6021 in Sunbury or 03 8400 4104 in Moonee Ponds or book online at www.smileinstyle.com.au to schedule an Invisalign consultation with a Smile in Style dentist.